"Possibly the most beautiful phone app Iâ€™ve seen." 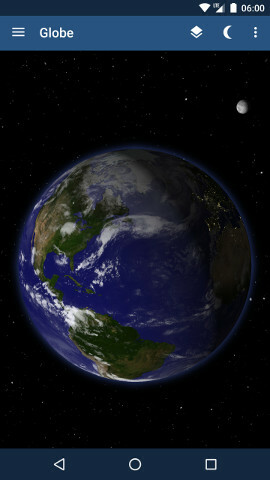 A visually stunning AndroidTM app with real-time virtual imagery. 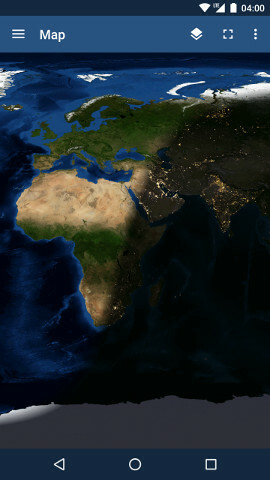 Fed by satellite, the interactive globe and map display day and night, clouds, seasons, sun, moon and much more. 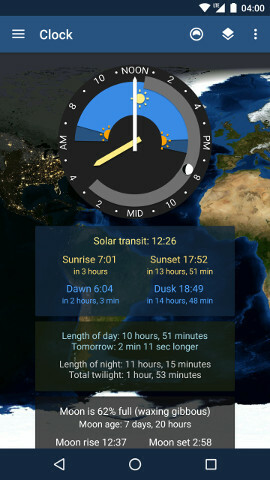 The day/night clock tracks phases of the moon, sunrise, sunset and transit times while the live wallpapers and widgets enhance your homescreen.